For many years, children have wanted to emulate their parents at the wheels of their cars and, for a very fortunate few, that privilege has been entirely possible, writes Iain P W Robertson, who recalls his own exploits. 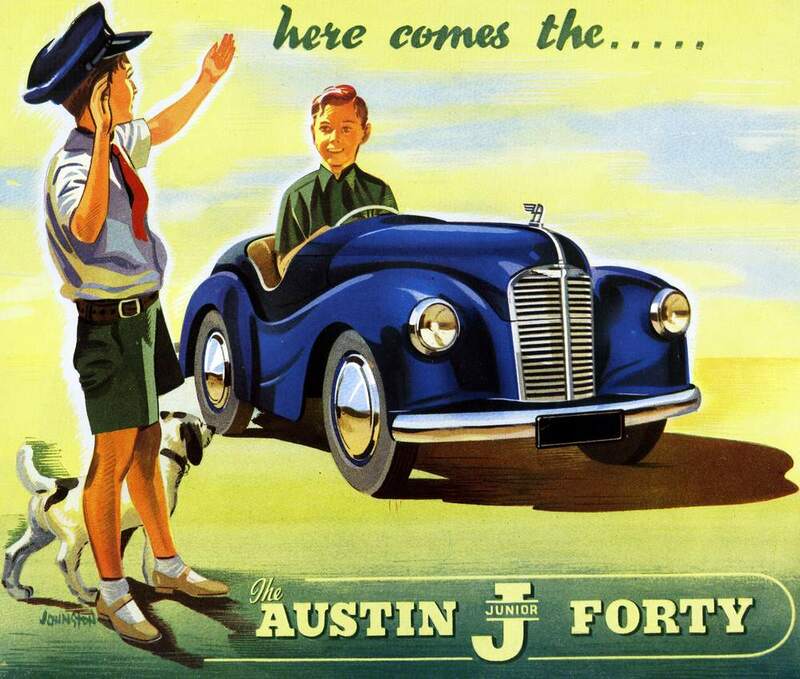 The recent news that Nicholas Mee & Co, the West London-based Aston Martin Heritage dealership is offering hand-built, petrol-engined runabouts for children aged over ten years reminded me of an Austin J40 pedal car, built by Tri-ang, that I prized as a child, although it was passed down the family to younger cousins and I have no idea where it is, or what its fate was. The truth is, I wish that I had it now, as examples change hands regularly for well in excess of £3,500. Since the advent of the motorcar, smaller versions for smaller people have been available, albeit in very small numbers. Take the original Bugatti Type 35. The Molsheim, French-built grand prix car was the envy of its on-track rivals in the 1920s and for several years thereafter. However, Ettore Bugatti, the owner of the company, decided that he would build a reduced scale version for his son, Roland, who was just five years old. It was known as the Bugatti Type 52 (a soubriquet given to it by the late-British Bugatti aficionado, Hugh Conway) and, therefore, had a model designation of its own, even though the factory only ever referred to it as ‘Baby’. To be fair, it warranted it, as it was a genuine ‘Bug’ in all respects. No less than 90 examples were built in total, which made it actually and ironically the largest volume Bugatti ever produced. 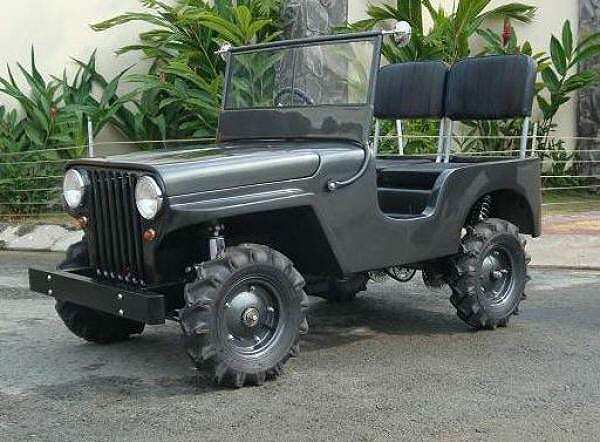 It had drum brakes and was powered by a 12v electric motor, with forward and reverse gears. The offspring of Europe’s wealthiest Bugatti owners would even race each other in the Type 52s, such was the appeal of the model. 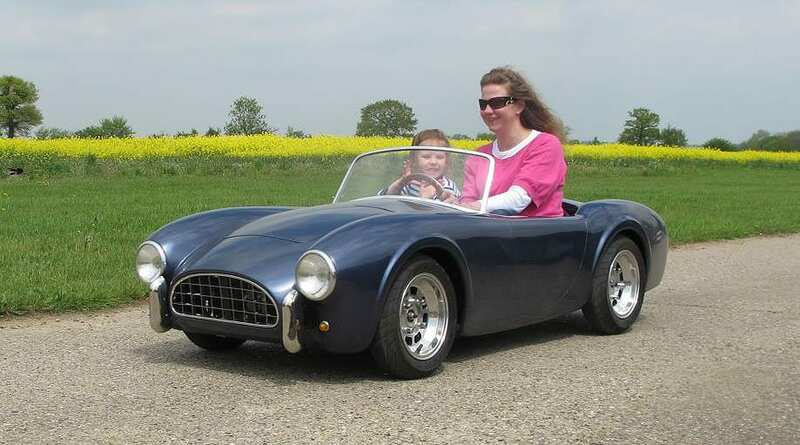 Interestingly, with prices for the real item reaching well over £60,000, it should come as no surprise to appreciate that a cottage industry exists that builds replicas of this prestigious children’s toy car, not only in Type 35 but also Type 59 style (from Uncle Jim’s Workshop). Sadly, Jim Wilson died and there was no other craftsman in his family to develop his painstakingly created (and quite expensive) hand-built replicas for future audiences, although some of the rarities do appear in classic sales carrying values in excess of £15,000. Belgian and Dutch Bug-fans are renowned for their ardent support and the Type 55 model is still being produced by independent artisans. Jim Wilson also produced half-scale versions of both the Lotus 7 and even a 1930s Bantam racing car. Remember, we are neither talking ‘ordinary’ pedal cars here, nor are they Japanese high-volume sellers. Of course, Hamleys famous toy shop, in London, can furnish you with plastic-bodied, electrically and pedal-driven ride-in cars and go-karts but they are not in the same league as the ‘replicars’. 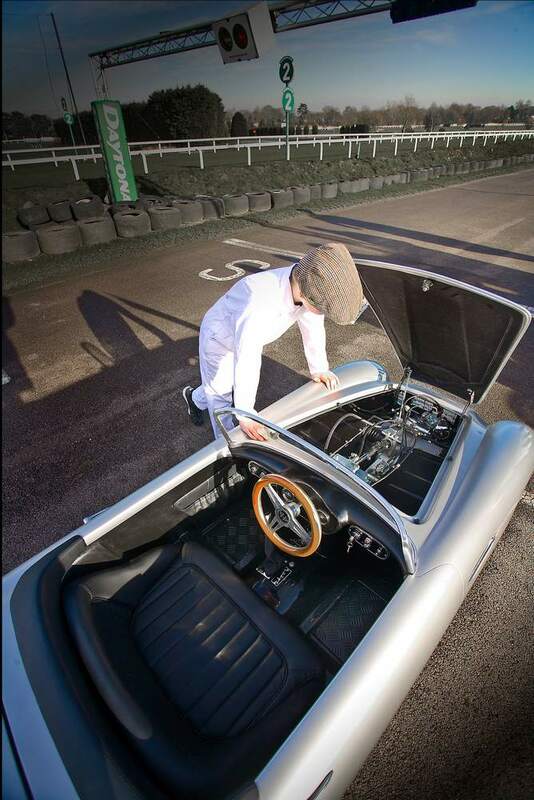 Sussex-based classic racing car restoration specialist, Crosthwaite & Gardner, produced another replica, albeit of the Type 52 original, that was exceptionally well-engineered, featuring specially cast alloy wheels, pneumatic tyres, leather trim and battery power. It sold at a Bonhams auction last summer for an under-valued £6,000. Perhaps the most famous of all is the Aston Martin DB4 half-scale car produced by apprentices at the factory for a young Prince Charles. It was certainly a ‘present’ that was well-received and it has been since renovated by the factory and remains on the royal car fleet’s strength, with several young members of the family enjoying it, I am sure, with the utmost of care. More recently, in 1988, HRH The Prince of Wales was presented with a half-scale, battery powered Aston Martin DBS by the factory for his sons William and Harry. Putting a price on these rarities would be difficult indeed, considering their provenance. On the other hand, British-based Pocket Classics, complete with a charming mouse logo, produces exceedingly practical small cars that can be driven by anyone over the age of ten years. Boasting a proper braking system, electric start, horn, lights and a 110cc petrol engine that can enable a top speed up to 46mph (it can be limited), the prices range from £7,995 to £12,495. The models cannot carry specific manufacturer badges because of copyright issues, although it is fairly clear that the AC Cobra, Jaguar XK120, Aston Martin DB5 and a Ferrari 250 California Spider were the inspirations. Private roads, or a country estate, are essential aspects, as none of these cars can be driven on public roads but that does not lessen the appeal a single jot. 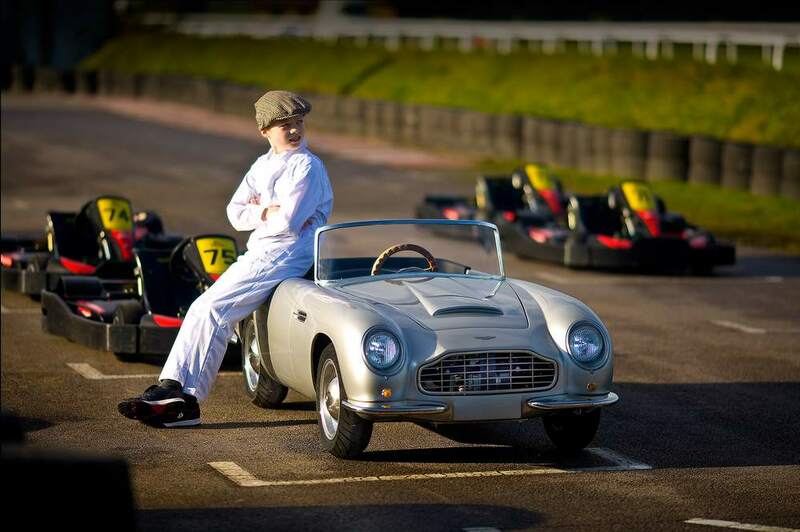 As to the utterly lovely Aston Martin DB Junior Convertible being marketed by Nicholas Mee & Co, it will cost you a whopping £16,500 but features a composite body, wood rim steering wheel and leather seats…just like daddy’s then? Conclusion: For the ultimate driveway snobbery, a mini version of daddy’s personal ‘toy’ must be on the ‘wish-list’ of kids far and wide, Some examples are significantly better than others, even being accorded their own ‘classic’ status and accompanying collectible valuations. If you can afford it and can keep it, it could be a useful pension enhancement. I want one.